Though the Cascade 1000 can only handle a 100-gallon tank maximum at 265 gallons per hour, compared to the FX6’s 400 gallon maximum at 563 GPH, it’s a definite step up from the Cascade 700, which could only do a 65-gallon tank at 185 GPH. This might not be your speed if you want the most powerful canister filter on the market, but if you want to upgrade to a solid mid-level filter this might be the option that you’ve been looking for. 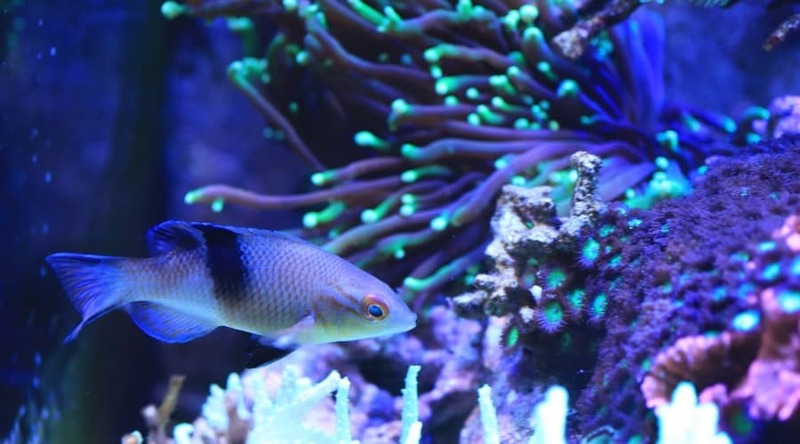 If you’re a longtime fish enthusiast like me, you probably prefer to stay current with all the tools and equipment necessary to maintain your home aquarium. 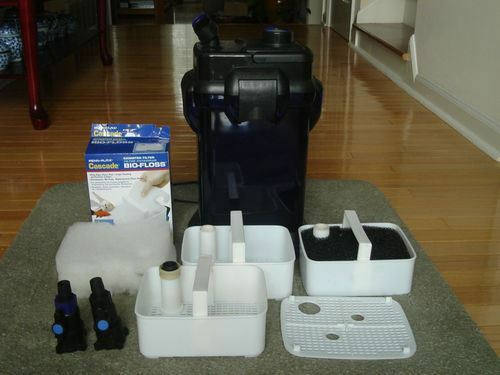 After all, the trick to keeping your fish tank running smoothly is having quality gear that functions well. 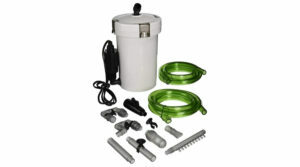 The most important function for most aquarium equipment is to keep the water clean. With that in mind, I decided it was time for a Penn Plax Cascade 1000 Canister review. Keeping your tank clean and healthy is the best thing you can do for your fish. You can’t maintain a healthy tank without a good filter, and the threats posed by dirty water all have a potential negative outcome on your mini aquatic environment. Dirty water puts undue stress on your fish, leading to increased rates of disease and erratic behavior. There is less oxygen in a dirty tank, which raises the likelihood that your fish will suffocate. Toxins that can poison your fish build up without adequate filtration. Moreover, an algae-ridden tank is just an eyesore to look at. 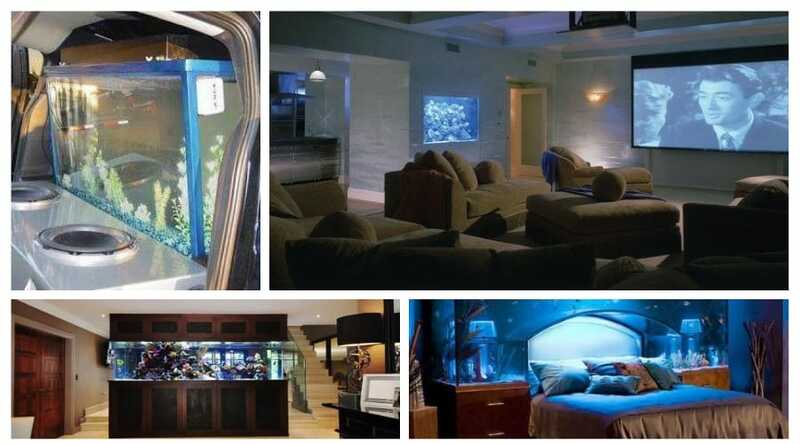 You got the aquarium so it would look nice and your fish would be happy, right? A good filter is an essential item for all fish tank owners, but you can’t just rush out and buy any one that’s out there. It’s important to select the filter that’s right for you and your tank. You need to make sure you get a filter that provides mechanical, chemical, and biological filtration of the tank for maximum cleanliness. You need to consider what kind of tank you have, and what filter style will work best. 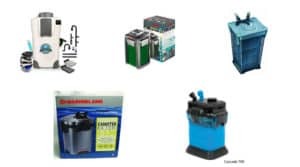 The kinds of filters you can procure are also varied, from box or gravel filters for smaller tanks, to power filters for mid-sized tanks that need a good mix of filtration, to trickle filters for saltwater, or big canister filters for big aquariums. Good looks might not be the first thing that you’re concerned within a filter, but compared to some of the others I’ve seen out there the Cascade looks pretty slick. It might be because I’m a bit partial to blue, but the actual shape to is a far cry from some the less pleasing monstrosities you may encounter. In comparison to other models I’ve tested, the Cascade holds its own as far as quality of construction. 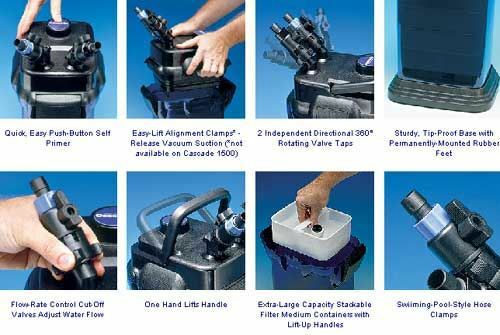 The locking clamps secure tightly and the base unit is not going to tip over easily. This extends to the accessories as well. I’ve had hoses that seemed like they were just a quick motion away from breaking, but that wasn’t the case here. It’s neither the biggest or smallest unit, measuring 17” x 10” x 11.5” and weighing about 12 pounds. It’s a good balance between size and durability. You don’t want your filter to be falling apart quickly, but you also want to be able to carry it to the sink on your own to clean it. The instructions offer only a few vague clues in terms of setting up your filter. Thankfully, that’s all you’ll need because the process is pretty straightforward. Even if you’ve never assembled a canister filter before I would wager it would take you no more than 20 minutes to get this one done. I did have a slight issue with some of the hoses being a bit inflexible at first, but the problem was quickly rectified by letting them soak a bit first. If you’re at all confused on the setup process, there are plenty of YouTube tutorials with helpful step by step instructions. When it comes time to prime the filter for use, all you’ll need to do is push down on the priming button a few times (7 in my case) and the filter will pump out all the air and get to work. I’ve heard of others having issues with air leaks and problems with the hoses at this stage, but I didn’t experience either. I have to hand it to Penn Plax, this unit operates to capacity much as they advertised. Even with all the filtration media installed, it was moving at what seemed to be a pretty steady GPH, and without a whole lot of distracting noise. 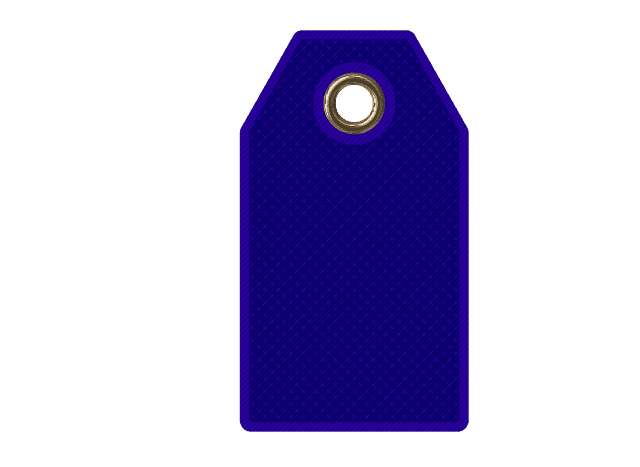 Speaking of which, this is one of the least noisy filters I’ve checked out. If you are in need of something that won’t be a huge noisemaker one you’ve installed it, this might be the just the unit for you, as they haven’t sacrificed the strength of the filter in order to get it to whisper quiet. If the flow rate isn’t to your desired speed, you can use the quick disconnect tubing connectors to alter the pumping speed. The spray bar, should you choose to engage it, works great, and is a nice option for adding a bit of disturbance onto the surface of your tank’s water. It comes with the filtration media pre-installed, so after your initial device setup, you can get right to using the filter. 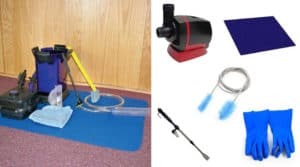 The floss pad does a nice job catching fine particles in the water, while the carbon media removes water impurities and the sponge gives a nice surface for beneficial bacteria to remove waste from your tank water. When it does come time to replace the filtration media, it’s a simple matter to slide open the filter trays and slip in your fresh pads and sponges. The filter trays aren’t the largest around (about 6”x4”x1.5”) but it’s enough room to pack in a little extra if need be. 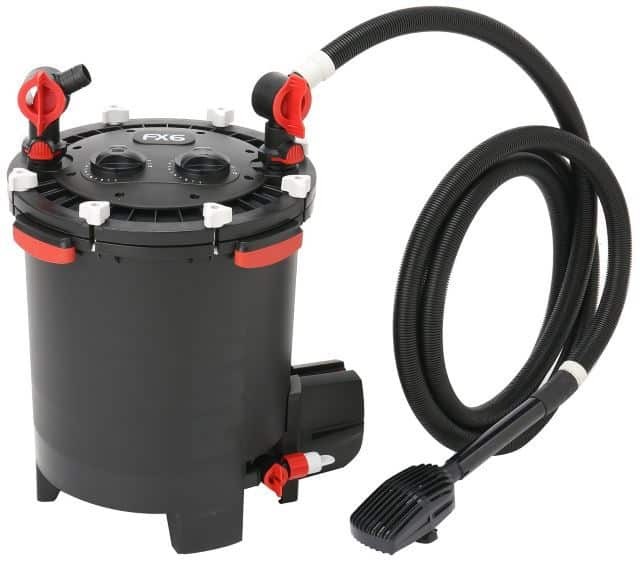 All-in-all, simple to use, and get your tank water plenty clean as long as you don’t try to use it on a tank that’s too much for the Cascade 1000 to handle. The power is plenty sufficient for most mid-sized tanks, but is a bit of a power draw, requiring a whopping 27 watts to function. Very easy. Simply turn off the filter, undo the hoses (quick-disconnect, remember?) and take that bad boy to the sink where you can give a good cleaning. Reconnect the hoses and then you’re finished. The filter is a breeze to transport around thanks to the built-in carrying handle. If you’re the kind that likes to get into every nook and cranny for a spotless clean though you might be a bit disappointed, as you’ll be unable to take the head apart to get to the motor and other moving parts. You can still get it freshened up enough to continue operating at good efficiency, however. This is where the Cascade 1000 really shines. Compared to the top flight models like the Fluval and Marineland, this filter is a steal. 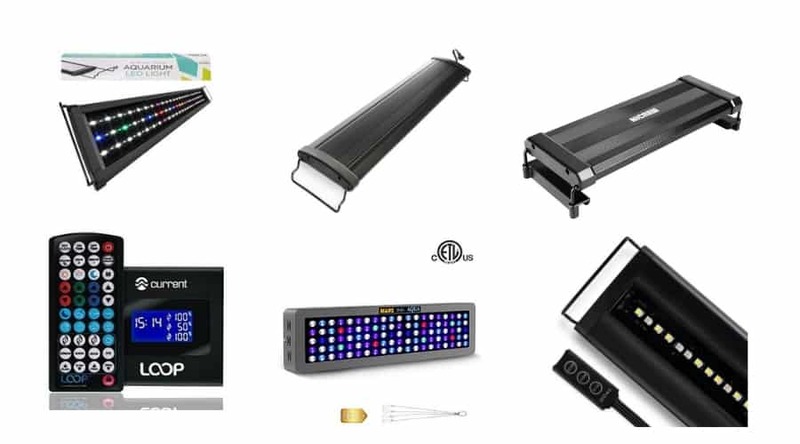 There’s a bit more setup involved, to be sure, but that is offset by the money you save that can be reinvested into more equipment for your aquarium. If you’re interested in a strong filter for your tank you might also try the aforementioned Fluval FX6. It’s like the FX5 on steroids, being able to pump enough water for tanks up to 400 gallons in volume, at a rate of 563 GPH. 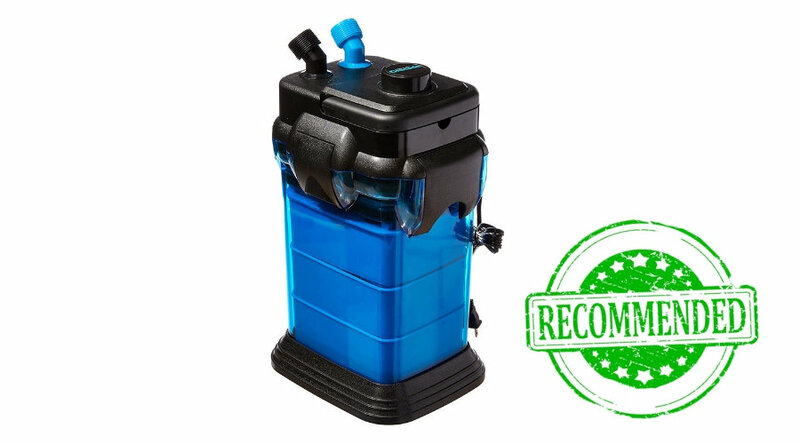 You’ll pay more up front for the Fluval, but it comes out of the box a stronger unit, requires a bit less maintenance, and has a number of nifty features for you slightly lazier tank owners out there, like a self-starting system, monthly maintenance reminders, and “Smart Pump” technology to keep the filter running at peak efficiency for longer periods of time. 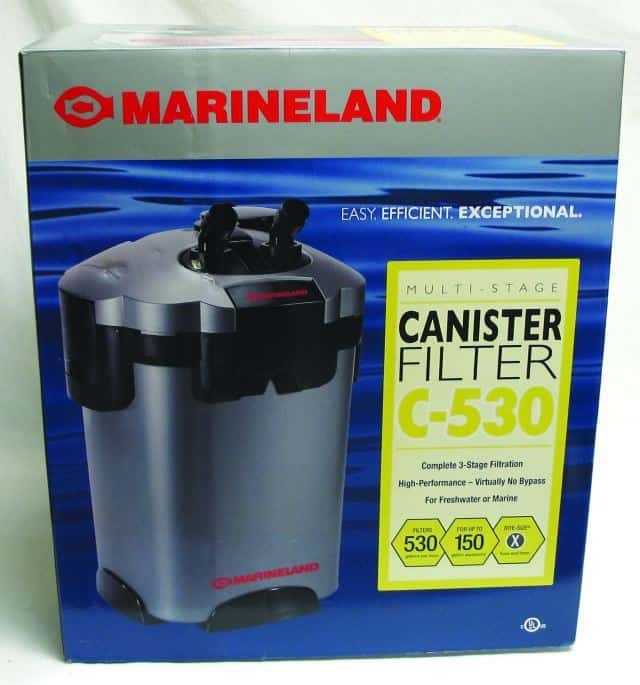 The Marineland c-530 is a direct competitor to the Fluval FX6, and also boasts an impressive flow rate of 530 GPH, though only at max capacity of 150 gallons. It’s a balanced option as far as price, being more expensive than the Cascade, but less so than the FX6, but the biggest selling point is likely this unit’s jack-of-all-trades status. No standout strengths, but no glaring weaknesses either. 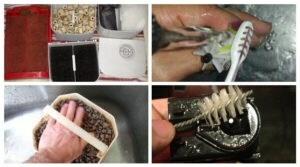 Still, it’s not as easy to use as a Cascade and is more a tool for seasoned aquarium vets thank beginners or hobbyists. Of course, if you have your heart set on a Cascade but need a bit more punch, you could go with the Cascade 1500. It still doesn’t have the raw stats of the Fluval (200 gallons max/350 GPH), but it has larger filter trays that allow for running more filtration media for a longer period of time. It’s a little bit pricier than the Cascade 1000, but not by much, and it’s certainly less than the FX6. If you’re looking for increased power while still trying to be budget conscious, this is a definite model to consider, coming it at almost half the price of its pricier competitor. Choosing a filter is a necessary step in aquarium ownership, and there are a lot of great options that will keep your tank water fresh and healthy for a long time coming. 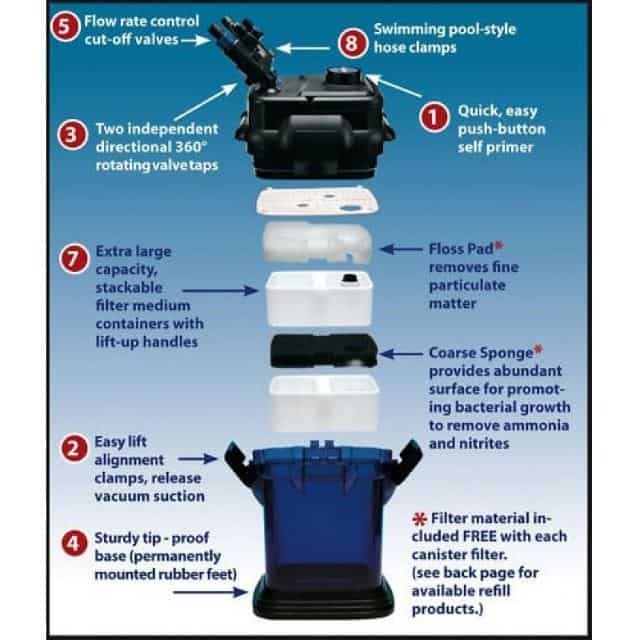 If you’re a first-time aquarium owner or need to strike a balance between factors such as power, price, and ease-of-use, the Cascade 1000 filter is a good choice to get you started. I have a Top Fin FE-1000 and it works well, was hard to prime but works good. I just cant figure out why it shuts off for about one to two min. every 30 min. then starts up again. I have no paperwork that addresses that.. Have you seen this or herd of it. 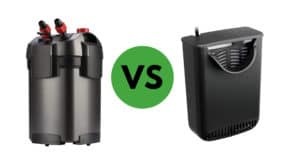 Canister Filter vs. Power Filter: Which One Is The Best For You? Tankarium is a participant in the Amazon Services LLC Associates Program, an affiliate advertising program designed to provide a means for sites to earn advertising fees by advertising and linking to Amazon.com.